I was super excited the other day, when I was able to get my Centerfield/Scarlet Swing dress mash-up out of a single yard of fabric. I mean, a whole dress for $7? What’s not to love? In fact, I was so excited, that I assumed I could get it out of any yard in my stash, forgetting that not all yards of fabric are created equal in terms of width and length. With a self confidence born from a history of getting my garments out of far less fabric than advised in the “fabric requirements” charts, I blithely chose an irreplaceable camo jersey blend that I had purchased from my vacation swap meet adventures, and started cutting into it for my live video, in front of 21K people. (See the whole video here). 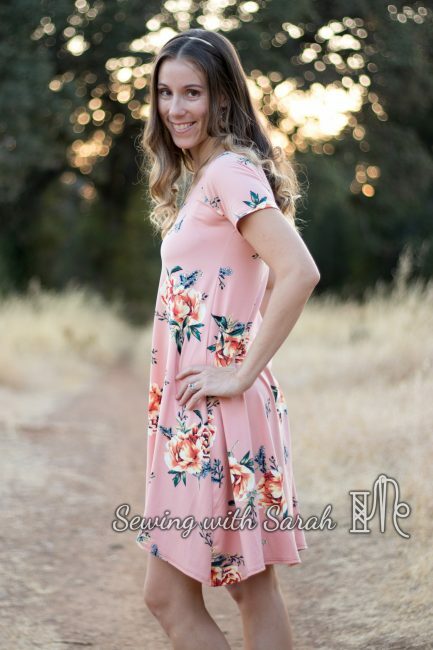 Unfortunately, I had less than I thought, either because this fabric was not as wide as the original brushed poly, or because it shrank more than expected, and there was no way I could make it work for both sides of the dress, let alone the sleeves. This is what it looked like after I had cut the back. As you can see, there is not enough room to flip it over to make a whole front. I made a quick “Plan B”, and dug into my stash, coming up with a beautiful floral rayon spandex from Pretty Posh Prints, and taking the opportunity to give a little tour of my fabric shelves. The rest of the broadcast (and dress) was finished without incident, but now I was stuck with an awkward cut of fabric and half of a dress. 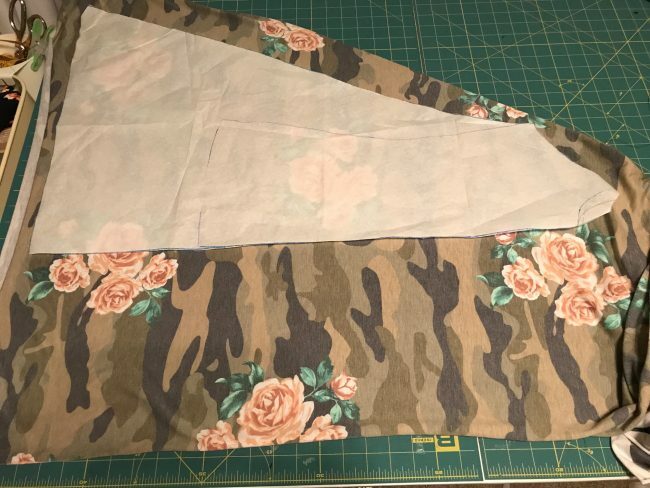 I plan to re-purpose the fabric into a t shirt for myself or my daughter, but I’m having a hard time letting go of the awesome camo/floral dress I had in my head, and I’m kicking myself for my mistake. Which brings me to today’s lesson: always lay out your fabric prior to cutting, to make sure you have enough for what you have planned! What’s your fail for this week? Have you made this same mistake? Share in the comments below! 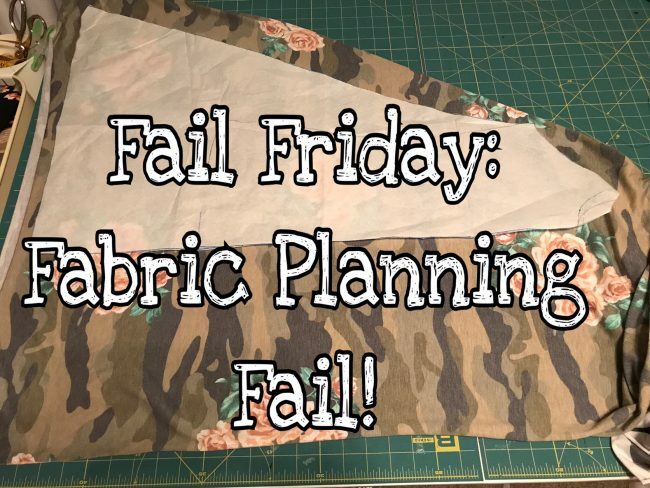 You can check out my other Fail Fridays/ Tip Tuesday posts on my blog here!